If you're anything like us, hearing a piece of gaming music or even that familiar 'click' of the Nintendo Switch logo will instantly draw your attention to the TV. We'd expect to hear it in an advert every now and then, but never during a government-owned network's official broadcast schedule. Amazingly, Beijing Media Network, a Chinese network available across certain territories in Asia and North America, did exactly that, using an incredibly familiar piece of music from The Legend of Zelda: Breath of the Wild during a transition. The show in question was a special celebration programme for the Chinese New Year taking place this week. Users on Chinese social media platform, Weibo, have been discussing the legality of the music being played. It's rare to see a piece of a video game music be officially licensed for other uses, and many suspect that Beijing Media may have simply used the piece without permission. We'll likely never know whether or not the music was authorised for use, but we'd certainly be more interested in watching TV if it had Zelda music playing all the time. 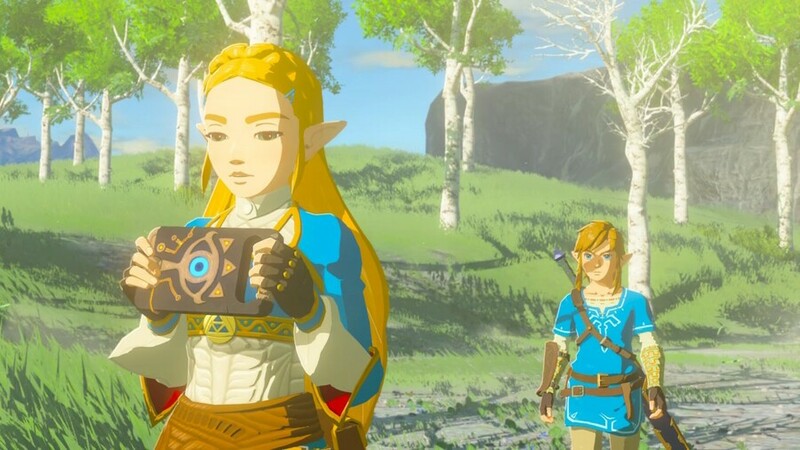 Now then, excuse us while we go and play Breath of the Wild again for the gazillionth time. Its quite common to hear Zelda music here in China, When my wife watches a show called Happy Camp I hear OoT's Goron city theme all the time, and on some other TV shows I have heard other Zelda songs. UK Only: Doesn't the channel E4 use music from Ocarina of Time? specifically the mini-games like target practice or the treasure chest gambling game? Of course it wasn't authorised. China is basically a rogue state when it comes to intellectual property. They steal whatever they want and their government refuses to care, as long as it's stolen from outside of China. Nintendo is going to copyright claim those videos. But this is nothing compared to North Korea where they ripoff Call of Duty's video cutscenes and show it on TV as propaganda for their military might. The poor people in NK never played video games, they believed their supreme leader has super CG power. Haha! I did think at first that I might not recognise it, but that's certainly a memorable little sample. Suits the broadcast pretty well too. Unlikely Nintendo are going to raise make any bones about this I'd have thought. In Italy, controversial network Mediaset sometimes aired promos for its shows that borrowed music from games. One noteworthy example is a promo for the Italian version of Saturday Night Live, which flat-out used Pinna Park as its background music. They did the same before with Final Fantasy XII music to promote their Pay TV service. And I'd post proof too, if only the only remnant of this phenomenon wasn't chronicled in my own language. Feel free to request a translation later in case you're curious, and ye shalt receive. They do that regularly, my wife gets annoyed at me because whenever she watches her Chinese show and I would hear Nintendo SFX or music, I say out loud, “someone obviously don’t have approval to use this”. @klingki Yeah they use the underwater theme from Mario brothers and Star Wars Cantina music all the time on those reality shows. Also heard The Godfather and The Good, the Bad, and the Ugly theme music. I remember my students didn’t understand the term “postmodern” when I tried to explain it the first time, then I played a 30 second clip of one of those shows and they got it. Probably unauthorised given China's track record. Nintendo probably won't do anything though because copyright infringement is basically sanctioned by the Chinese government. @SimplyCinnamon53 it’s reading 15 different definitions, getting 15 different answers, drawing your own conclusions, and never asking the question again. @JasmineDragon Aparently! And lots of it. I guess they really achieved the ''we want you to perceive only the sound of the wilderness'' kind of thing. I’ve heard video game music in news shows before. I distinctly remember one time they used the overworld theme from final fantasy 4 as background music for a whole segment. Also in Mexican tv dramas they tend to use the same sound recording of Mario Kart 64 whenever someone is playing video games, -any- video game. I more and more notice game-music in television programs, and it makes me happy. The Chinese government laughs at international copyright, as long as it's not theirs that's being stolen. That being said, people all over seem to use sound snippets, which may or may not fall under their country's fair use laws. Intellectual property theft, in China!? This must be mistaken. 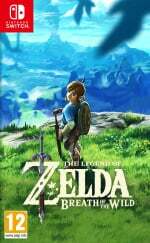 sarcastically: There is music in Breath of the Wild? Huh, I never heard any.